The Manitoba Food History Truck! 2 weeks. 3 credit hours. No prerequisites. Registration opens March 2019 — see https://www.uwinnipeg.ca/. Do you have a grandparent or other relative who was involved in the 1919 Winnipeg General Strike? Did that person share stories with you about their experiences? Troops on Main Street, Winnipeg, 21 June 1919. University of Manitoba Libraries, Winnipeg Tribune Photo Collection, PC 18/7188/18-6233a-010. Consider commemorating their participation by sharing those stories in a recorded oral history interview. Interviews so conducted will used in teaching and research, including publications. For further details (including potential benefits and risks), contact Janis Thiessen, History Department, University of Winnipeg, ja.thiessen@uwinnipeg.ca, 204-786-9947. Winnipeg General Strike, 21 June 1919. Archives of Manitoba, Still Images Section, Foote Collection, Item no. 1696, Negative 2762. 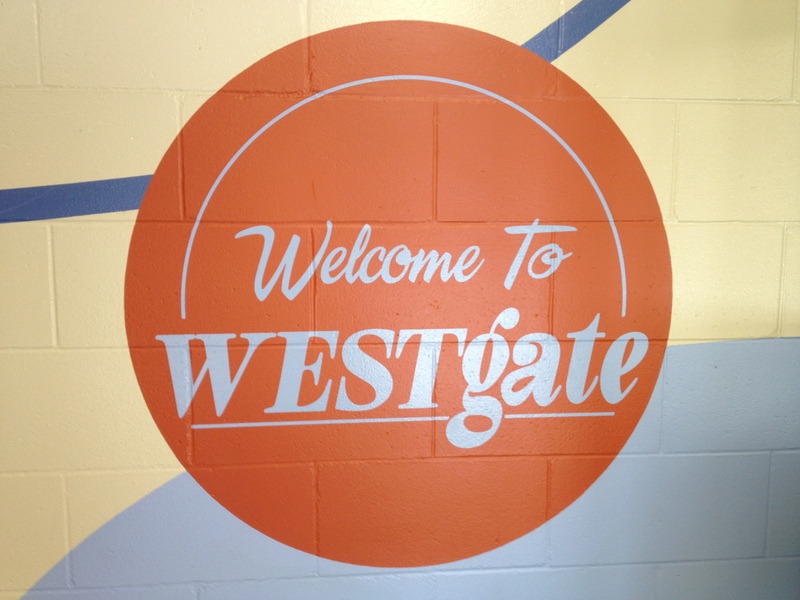 Mural inside Westgate’s front entrance. Photo copyright Janis Thiessen. Manitoba Mennonites’ ethno-religious identity was transformed in the last half of the 20th century. As a school situated in the heart of the city, Westgate Mennonite Collegiate‘s history offers a unique means of exploring generational and class differences within the Mennonite community. Westgate has been a significant site of contested power and social integration: authorities (government officials, church leaders, and school administrators) struggled with others (parents, students, faculty and staff, church members, neighbourhood residents, and non-Mennonites) to (re)define Mennonitism for the post-Second World War generations. 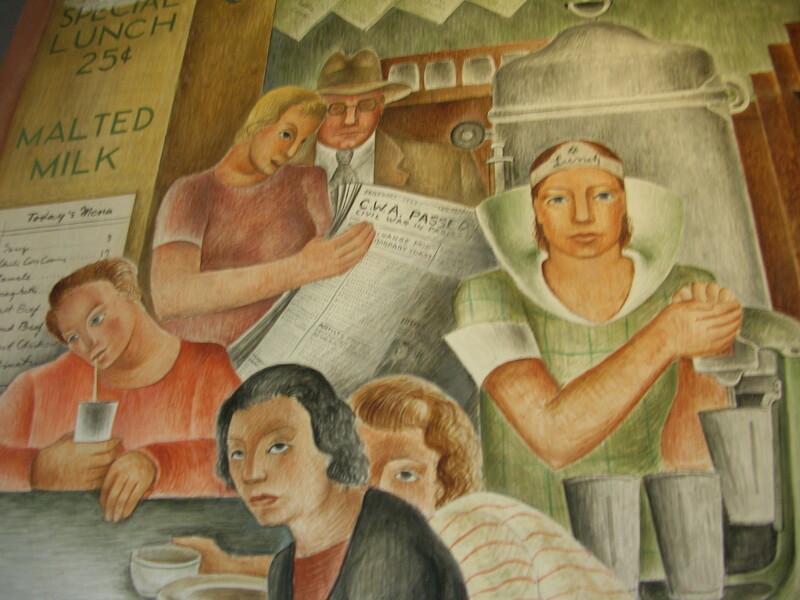 WPA mural depicting a ’30s era lunch counter, Coit Tower, San Francisco. Photo copyright Janis Thiessen. Not Talking Union: An Oral History of North American Mennonites and Labour is the title of my forthcoming book from McGill-Queen’s University Press.